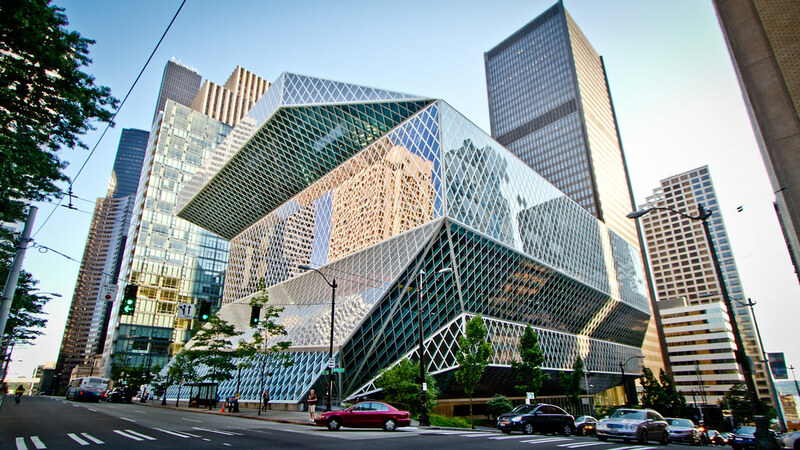 Hey, Marcellus Turner, we heard you’re interested in rebranding the Seattle Public Library. That’s great! We love libraries and we agree that Seattle should be a leading example for how libraries should operate in the 21st century. Your plea for a rebranded library makes complete sense. As we shift further away from printed materials, the role a public library will play in the future of our cities will be dramatically different from what our parents experienced. Becoming a technological resource for students, children, and low-income Seattleites will be crucial as our dependence on Internet access grows over the next decade. But we can’t say we’re pleased with your efforts so far. As reported in The Stranger, you’re paying Hornall Anderson $365,000 for their expertise in design and branding. The reason we started Marketeering Group is because we’re tired of watching overpriced agencies take advantage of Seattle small business owners and struggling institutions. We’ve helped Seattle business owners grow and prosper through their online personas, utilizing our expertise in search marketing, social media curation, written and video content, and low-cost website development. We’ve also helped create the image, look, and feel of multi-million dollar businesses from scratch – all at a significant fraction of the costs of our competitors. So here’s what we’re offering: let the talented folks at Hornall Anderson keep your money (we assume the check’s already been cashed), but give us a shot at the library’s rebranding effort. Sure, we’re comparatively small compared to a dual-name international agency, but with incredibly talented young Seattle residents on staff, we think we’d do a much better job helping define the future of the Seattle Public Library – and we’ll do it for free. Shoot us an email if you’re interested. We’re easy to find.